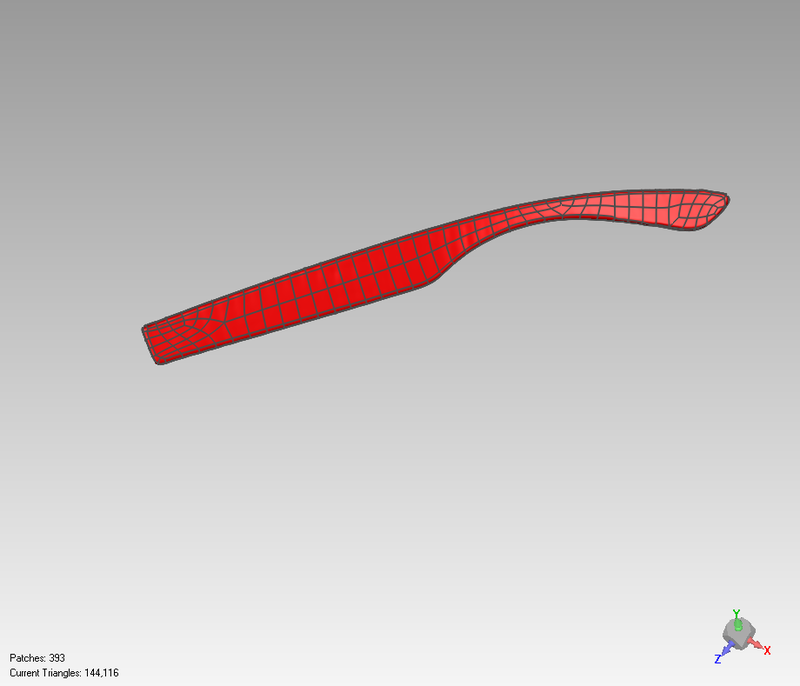 First scan using SLS3, the customer asked for eyewear reverse engineering. - Need I to complete a 360° scan to fill the holes? Right now was just a 180° scan. - Some scans appear to be a bit misaligned, especially going away from the center, need I to consider scanning it in parts? - Tiny details are loosed, need I also to scan it separately? - Using markers will improve the general accuracy? Need I to put some texture marker on the object itself or some external marker will be better? can you check the keystone settings in the projector menu under Image > Autokeystone, it should be off and Manual keystone should be 0.
can you scan your calibration panels after calibration and share the scan file? Apologize not answering since long time, but did understand starting with such a difficult part was a nonsense, and I was busy experimenting with more organic forms and RE software. Now returning on the specific topic I started with the bow, scanning, scanning with a marker, using the spray, cleaning, again spray, scanning again. I did find two problems after border shrinking and smoothing: after the cleaning and second spray application in the scan I did find some vertical bands that wasn't there before, also in the extreme part there are some noisy elements. Attached detail images of the problem and if you want next the 18MB david file of the mesh, interested to know if it's better trying to clean the mesh on some program such as Mesh Mixer, or since I did need to RE the part to clean it directly into CAD sw (Rhino or SpaceClaim, will have a try also with CATIA) as parametric surface or border primitive. Can you post a picture of your set up as you have it to scan this part? I have a few ideas that could help. You can not do better. I installed the GOM. It is very good to learn to use. Select bit problematic for me. This is because I can not move.